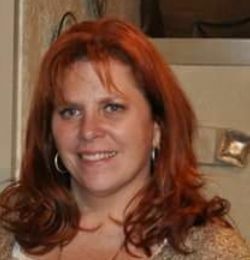 A Truckee native, raised in Sierra Valley, Kim comes to Sierra Pet Clinic with a background in Accounting and Office Management. Animals have always been a part of Kim’s life, having spent many years on the family ranch and involved with 4H and FFA. Kim is the pet parent of Leo and Cesar the Mastiff brothers and Jax and Gator her Jack Russell Terriors! Kim is a proud mother of 3 grown children and blessed grandmother of one! Kim enjoys time with family and the outdoors camping, boating, rockcrawling and miles and miles on the side by side exploring new country! Kelly is a long-term local of 50 years. 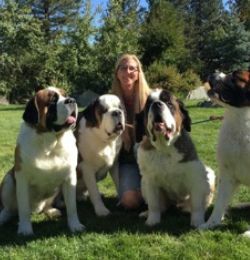 She lives here in Truckee with her husband and 4 Saint Bernard’s. Oliver, Bernard, Rocky and Waldin. Kelly and Bernard are a therapy dog team currently working as a “Court Comfort Dog” and Kelly was Bernard’s handler achieving his championship as well as CGCA, THD and WP titles. Waldin is completely blind and also a therapy dog. Kelly has her SAMP Certificate (Small Animal Massage Practitioner), a certificate in Canine Nutrition and is now working on her Advanced Canine Nutrition. Kelly also has a business called “A Peaceful Dog” where she does home grooming, massage and nutritional counceling and pet food for raw and home cooked feeders. She has been in veterinary medicine for approximately 13 years. Taylor is a Registered Vet Tech who recently moved from San Diego. She earned her degree in Animal Health Technology in 2014 and her license in 2015. She has been with Sierra Pet Clinic since January 2016. She has one dog, a pitbull named Ruca. 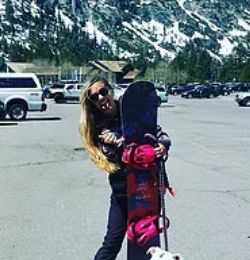 In her spare time she loves playing soccer, snowboarding, and paddle boarding. Sydney grew up in Grass Valley and Nevada City, where she found a passion for animals and was considered the neighborhood pet sitter. She moved to Truckee in 2016 and currently lives with her boyfriend and their two dogs, Kovu and Kaya. 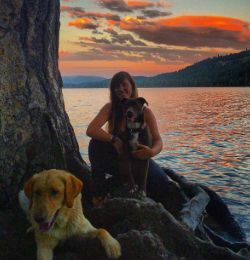 When she isn't working at the clinic, Sydney and her fur-babies enjoy hiking, climbing, snowboarding, swimming, and exploring the beautiful mountains. One day, she hopes to open an animal rescue facility. Austin was raised in Fallon, NV where he grew up on a ranch and found his love for animals. 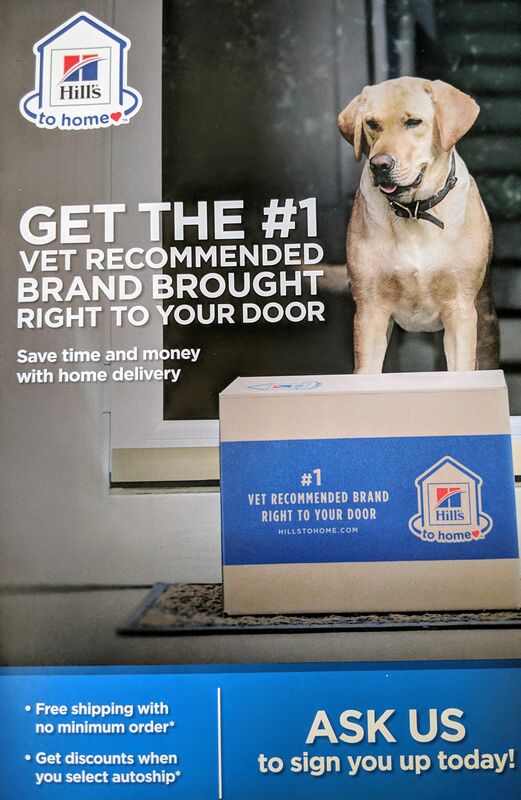 He is going to school to become an RVT. He has two adorable Golden Retrievers, Olaf and Sully who mean the world to him. When he's not at the clinic he enjoys anything to do with the outdoors and his dogs. Liam grew up in Truckee and started at Sierra Pet Clinic in June 2018. He has always had pets and right now has 2 dogs and 1 cat. He is loving his job at Sierrra Pet Clinic and is now looking into Vet Tech school. We are also very excited to announce that Liam just became engaged. Congratulations!